Professional hardcover binding lets poets, writers and genealogists or “plain old YOU” get work into circulation fast and with a quality binding. You can self publish your local history, genealogy and other special or unique texts. Volumes will be returned ready for the bookstore shelf or for your listing on Amazon.com. There are no minimum run requirements – we can bind just 1 book if that’s all you desire, although exceptional discounts are applied beginning at just 50 books (with further price breaks at 100, 250, 500 & 1000 books). Once again, we will work to fit in YOUR box, i.e. to help you design the look and message you want your book to convey. 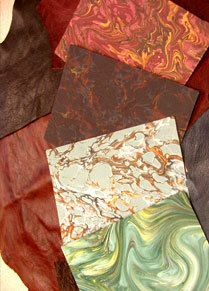 We offer a wide variety of options for your cover material choice, from fine leather to inexpensive laminated stock. Once selected, our expert finishers can then assist in your design for that cover, whether it be gold embossing or reproducing a treasured photo. We can even help you with the selection of your paper stock, if desired; and copy your work onto that stock from your hard copy, CD, travel drive or just an emailed file! 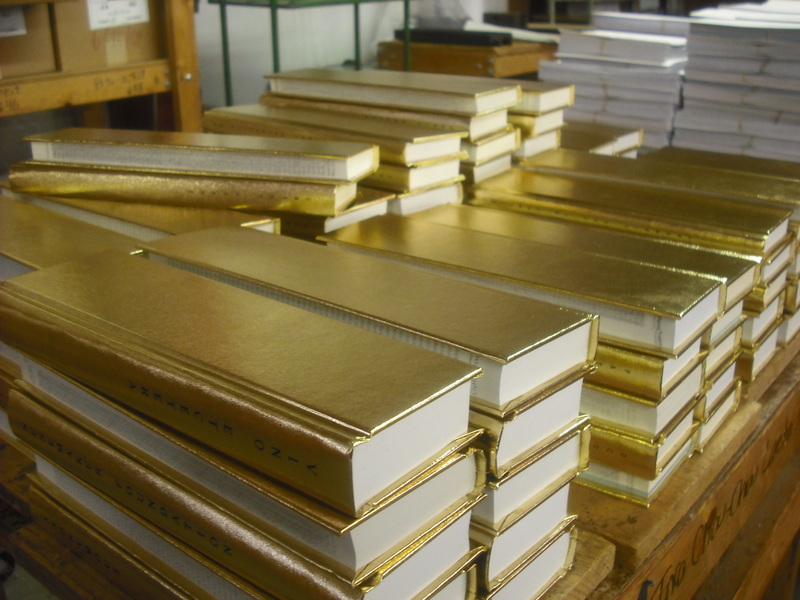 These hard to find personalized services are available at Grimm Book Bindery, Inc. at an affordable price. For guidelines in setting up your margins, paper selection or other questions you have about printing and binding your project take a look at our FAQ’s page. If you need additional information, feel free to call 608-221-4443 or send an email to info@grimmbindery.com.